Rhythm analysis of written texts focuses on literary analysis and it mainly considers poetry. In this paper we investigate the relevance of rhythmic features for categorizing texts in prosaic form pertaining to different genres. Our contribution is threefold. First, we define a set of rhythmic features for written texts. Second, we extract these features from three corpora, of speeches, essays, and newspaper articles. Third, we perform feature selection by means of statistical analyses, and determine a subset of features which efficiently discriminates between the three genres. 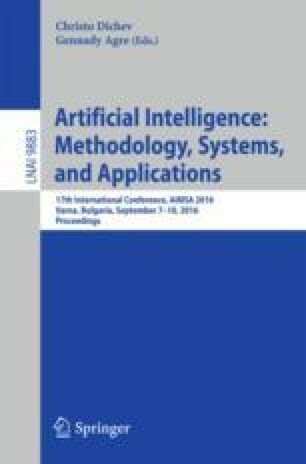 We find that using as little as eight rhythmic features, documents can be adequately assigned to a given genre with an accuracy of around 80 %, significantly higher than the 33 % baseline which results from random assignment. The work presented in this paper was partially funded by the EC H2020 project RAGE (Realising and Applied Gaming Eco-System) http://www.rageproject.eu/ Grant agreement No 644187.